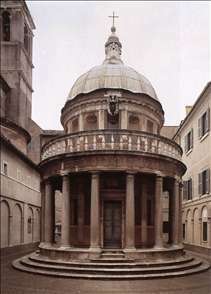 Bramante (Donato D Angelo) was the greatest architect of the High Renaissance. Most of his early career, which is ill-documented, seems to have been devoted to painting. 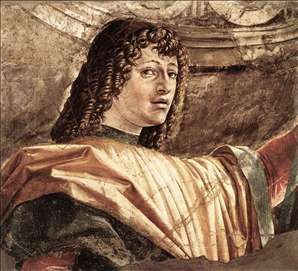 He probably trained in Urbino and is first documented in 1477 working on fresco decorations at the Palazzo del Podesta in Bergamo. In about 1480 he settled in Milan. 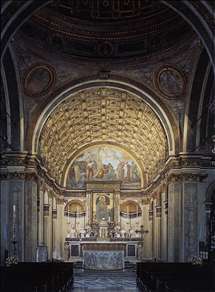 Although he did produce a number of architectural works at this time ( S. Maria presso S. Satiro , cloisters of S. Ambrogio), it was his painting, especially his use of trompe l oeil and the rigorous monumentality of the figures in solemn spatial contexts that influenced the Lombard school. 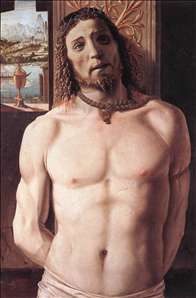 The Brera Gallery houses the repositioned frescos of Men-at-Arms and the wood panel Christ at the Column. 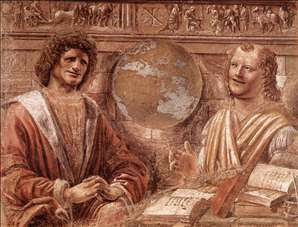 This is the only panel that can definitely be attributed to Bramante. 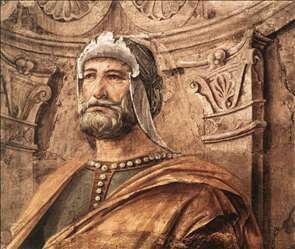 The Sforza Castle contains his symbolic fresco Argus which he painted together with Bramantino. 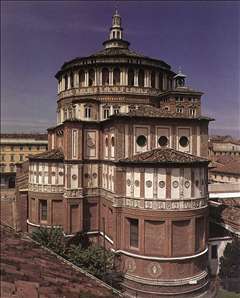 Bramante left Milan after the fall of Ludovico Sforza (il Moro) and settled in Rome in 1499. 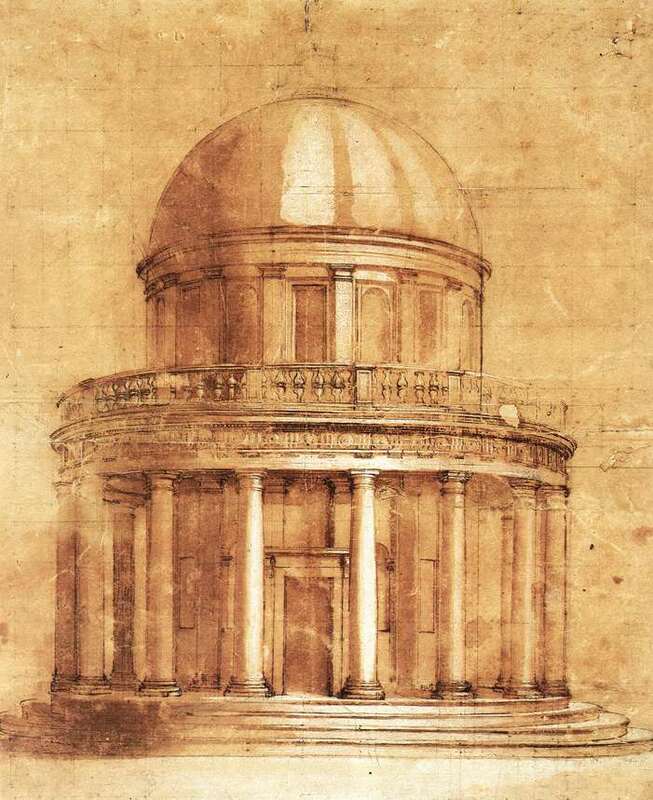 Here he started his extraordinary reinterpretation of antiquity (the small temple next to S. Pietro in Montorio left a deep impression on the artists of his own day, including Raphael). Within a few years he had become the most important architect at the papal court. For Pope Julius II he undertook the overall redesign of the Vatican Palaces around the Belvedere courtyard. 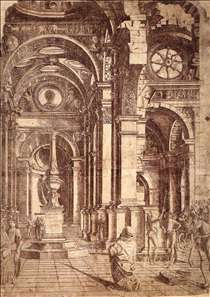 From 1506 onwards he did fundamental work on rebuilding St. Peter s which was later to be carried on by Michelangelo. See more details about "Christ at the Column"
See more details about "Man with a Halbard "
See more details about "Man with a Broadsword"
See more details about "Man-at-Arms"
See more details about "Heraclitus and Democritus"
See more details about "Study"
See more details about "Interior of a Church"
See more details about "Interior view toward choir"
See more details about "Exterior of the church"
See more details about "Tempietto"